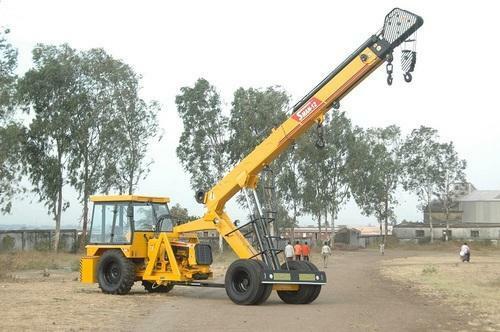 we are an eminent service provider offering our clients a quality range of Material lifting Crane Services. We provide our service to various industrial applications such as cargo handling, construction and plant erection. All these services are done under the strict supervision of the expert professionals to maintain a perfect working environment. Incorporated in the year1987, we,Satnam Global Infraprojects Ltd. is amid one of the eminent business enterprises engaged in offering services comprising Hydra Rental Services, PWHT Equipment Rental Services, Welding Machine Rental Services, Radiography Isotopes Rental Services, Radiography Testing Service, Thickness Gauge Services. These services are delivered under the guidance of skillful personnel to uphold their reliability and excellence at the premises of valued clients. To add, these services are generally commended and appreciated due to their swiftness, reliability and client centric approach. By offering these services to the clients correctly, we are expert of preserving continuing relations with them.